Aqua (Water), Glycerin, Alcohol, Pentylene Glycol, Ammonium Acryloyldimethyltaurate/vp Copolymer, Phenoxyethanol, Polyacrylamide, Caramel, C13-14 Isoparaffin, Laureth-7, Parfum (Fragrance), Limonene, Hydroxycitronellal, Bht, Tocopherol. [+/-: Ci 14700 (Red 4), Ci 19140 (Yellow 5, Yellow 5 Lake), Ci 42090 (Blue 1, Blue 1 Lake), Ci 77007 (Ultramarines), Ci 77163 (Bismuth Oxychloride), Ci 77491, Ci 77492, Ci 77499 (Iron Oxides), Ci 77891 (Titanium Dioxide)]. Hold eyebrows in place and keep them perfectly polished all day with this clear setting gel. The custom brush features long bristles that evenly coat brow hairs from root to tip and short bristles to sculpt and shape hairs into place. 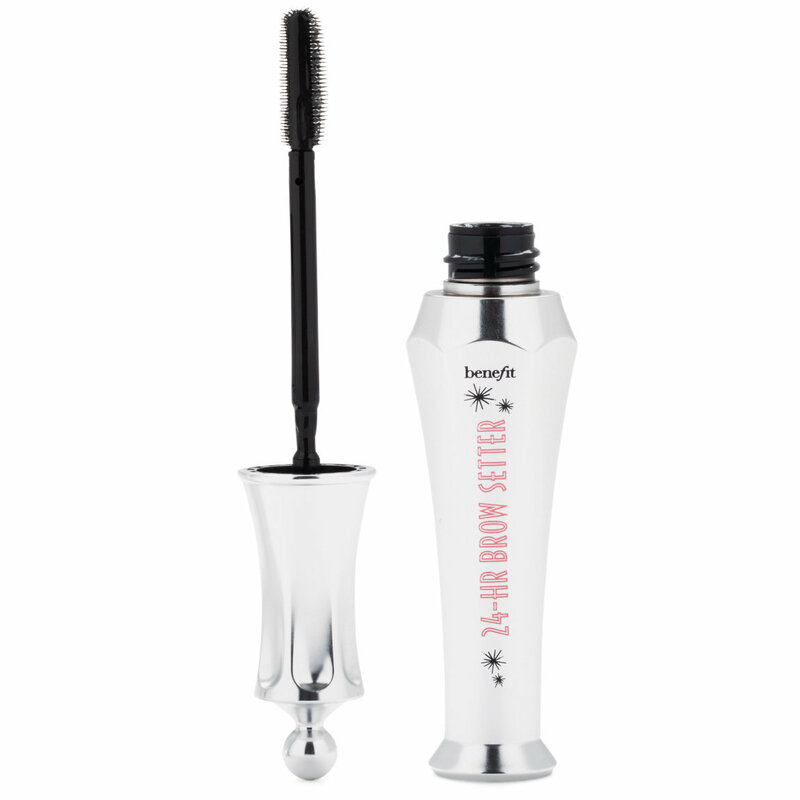 The flexible, flake-free and quick to dry formula applies easily to the brows and locks on makeup for 24 hours. To evenly coat brow hairs from root to tip, apply the gel using the side of the brush with long bristles. Use the short bristles to sculpt and shape hairs into place and the precision tip to define the tail. For anyone who has thick stubborn brows and you need them to stay in place, or simply change the direction of your brows this is like hair gel for the brows but without the stiff feeling like some other brands I have tried. What I think really sets this brow gel apart from others is the spoolie. It isn't your typical mascara spoolie. It has a row of teeth that hook onto the hairs individually. Upon doing so you have more control of each single brow hair. If I apply in the morning by the evening my brows are still in place no matter the circumstance. I have been blessed with nice bushy eyebrows and in my younger days they tended to behave and sit down. Recently my left brow decided to make a break for it and try to stand up. It made me look like wizened professor. Nothing I'd put on it was keeping it tame until the 24-HR Brow setter got a hold of it. I cannot recommend this enough if you have wild brows you need to hold down. It lasted all day long too - just like it said.